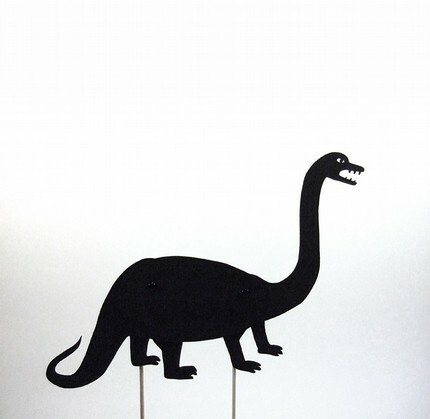 These laser cut matboard shadow puppets from Owly Shadow Puppet's Etsy Shop were first spotted over on Modern Craft. 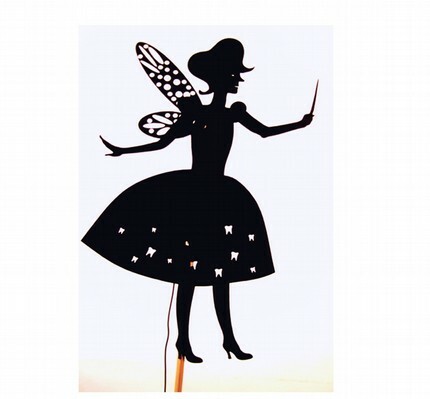 Partial to the tooth fairy, I was planning to stash her away for our first "tooth under the pillow" occasion, but alas I was too late, and she's gone. I really look forward to Friday's paper postings. Thank you. Thank you so much.